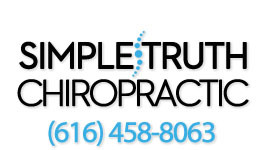 Once we get you to 100% or as good as we can get you, routine chiropractic adjustments will help ensure that your problems do not recur and your body stays in peak condition. It's just like if you went to the gym and worked out for several months. If you quit working out, your body would return to its initial state. After you get out of pain and we correct the problem, your body still has a chance of returning to a state of dis-ease and dysfunction. As the saying goes, an ounce of prevention is worth a pound of cure. When you commit to making routine chiropractic are as a part of your healthy lifestyle, you can prevent many of the aches and pains that are associated with age. Your body lasts longer and you're able to live a more active lifestyle even into your later years.